We are providing a wide series of Kitchen Bins. These are available in different patterns that meet on patron’s demand. Bins ideal for high performing Kitchens. Colour Coded as per waste management norms. Choice of closed flat lid/open funnel-shaped lid. Easy to deposit leftover food waste in plates, with funnel lid. We, “SoClean (Brand Of Hail Mediproducts Private Limited)”, are the leading name in the market established in the year 1997, at Delhi, (Delhi, India). We are the well-appreciated Manufacturer Exporter and Wholesaler, Retailer of bins collection like Waste Containers, Bio Medical Waste Bins, Laundry Carts and much more.. All these bins collection are designed by our elite team of experts. Our experts are creative and qualified in this realm. They use best plastic materials and cutting-edge technology to create these bins collection with perfections. All these bins collection are used in hotels, schools, and households to keep them elite. 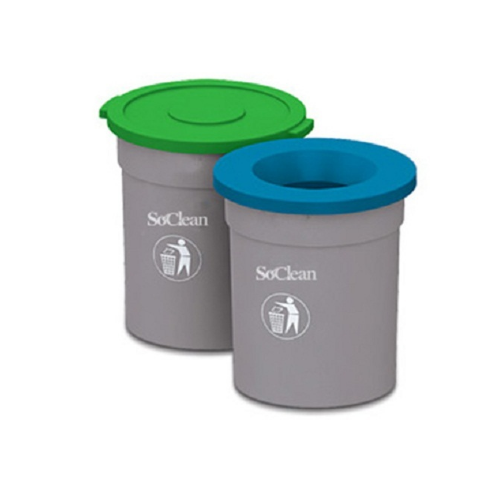 All these bins collection are available in many sizes, colors, and specifications. Our customers can avail this array of bins collection at affordable rates.